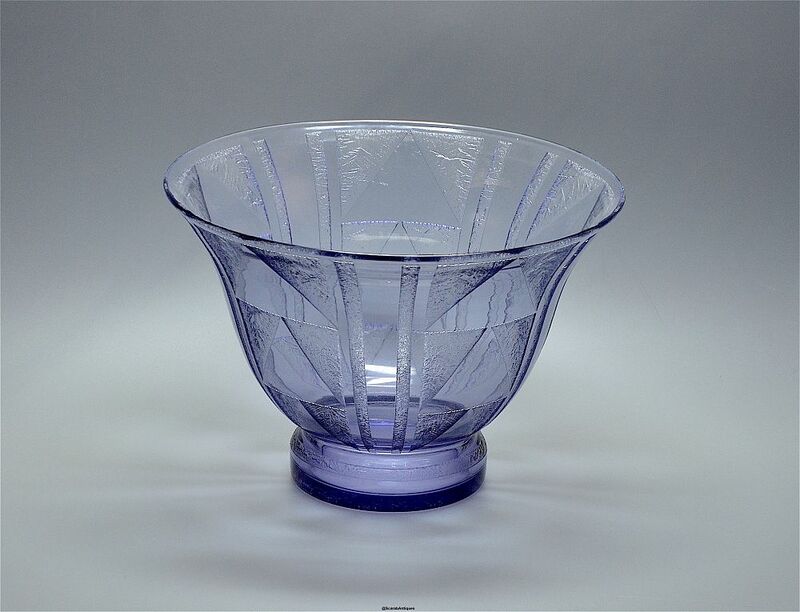 This lovely mauve bowl was made by the French company Daum Nancy during the Art Deco period. The round base supports a large flared bowl that has been acid etched with a geometric pattern. The base is signed "Daum Nancy France" and has the Cross of Lorraine mark.